Complete and flexible digital/electronic document management software solution for Windows users. 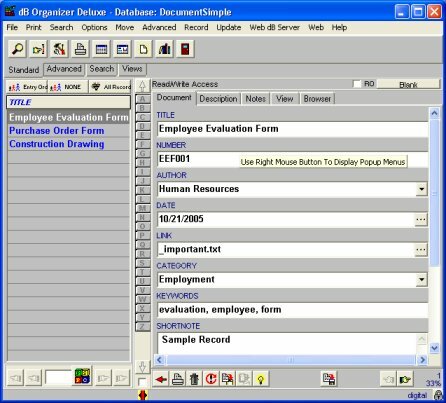 Manage your document information including document title, reference number, document author, date, document link, category, keywords, short note, description, notes. Customize the database template to meet your needs. Maintain electronic/digital document information easily. Find details quickly with flexible sort, search, or filter.